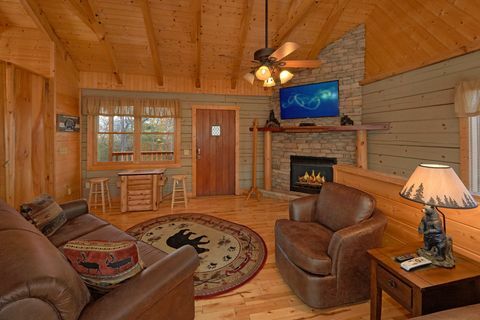 Smoky Mountain View Cabin Rental - "Hilltopper"
"Hilltopper," a premium Smoky Mountain view cabin rental, rests just minutes from Pigeon Forge and Cades Cove and offers comfortable in cabin amenities, a convenient location, and spectacular views. 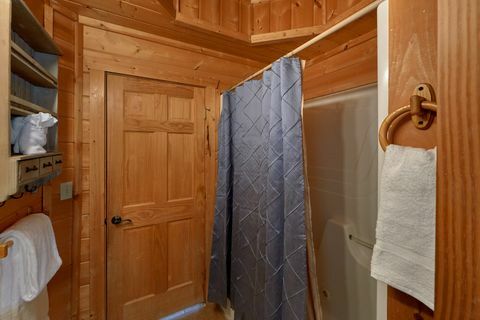 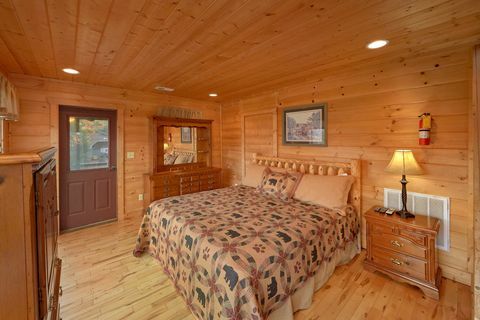 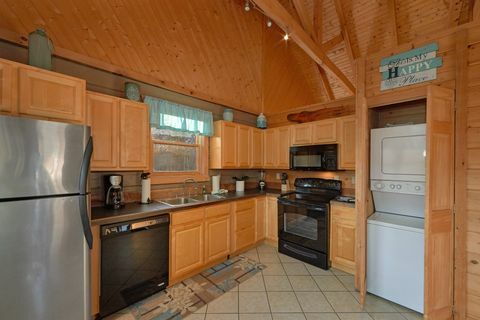 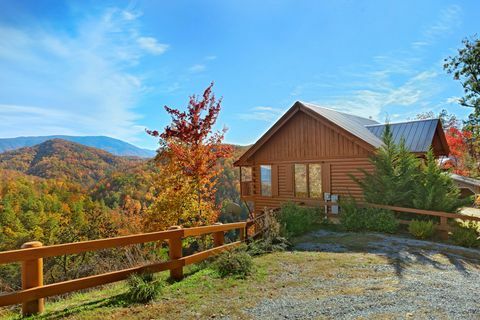 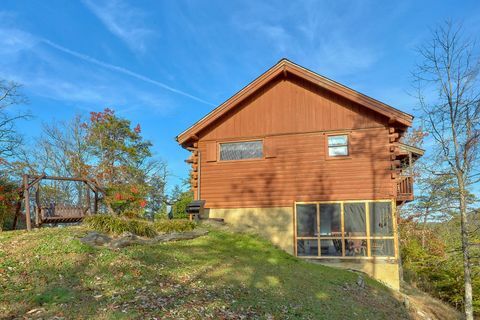 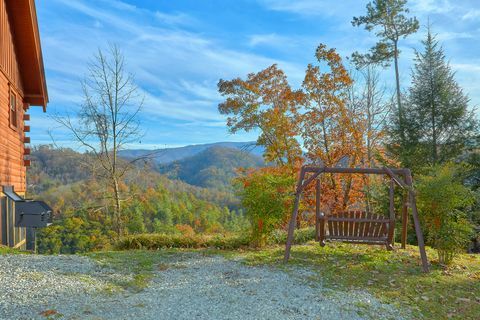 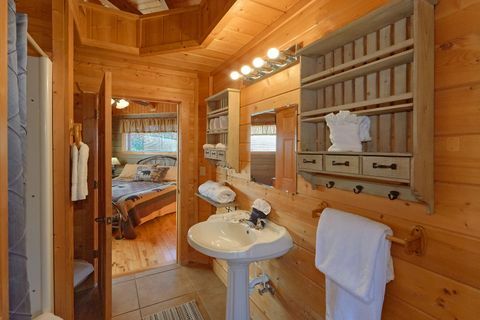 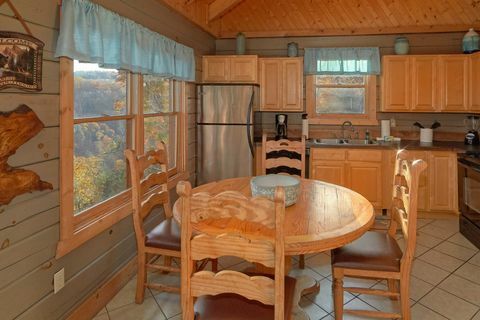 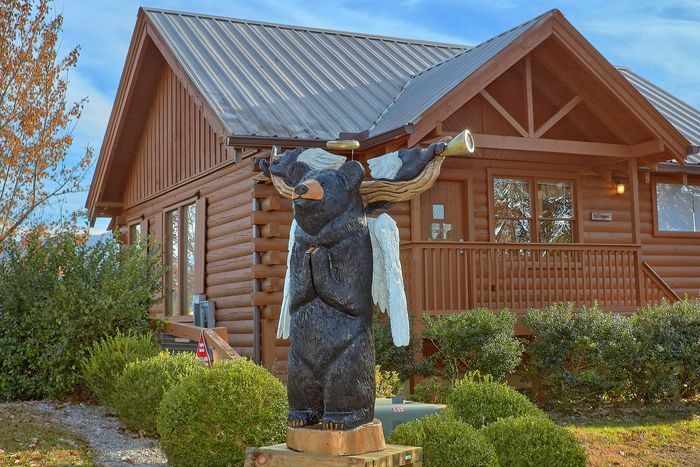 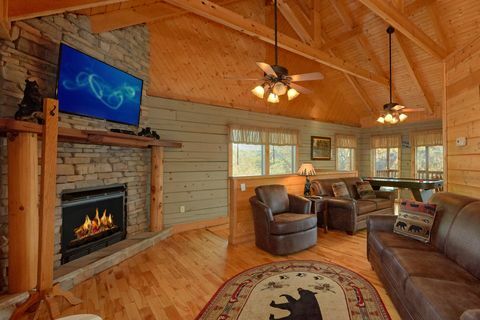 Overlooking the scenic Smoky Mountains, this cabin affords tranquility while still providing easy access to dozens of Smoky Mountain attractions in nearby Pigeon Forge, Cades Cove, and Townsend. 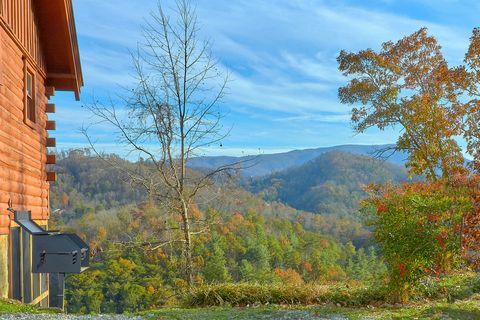 The seemingly endless Smoky Mountain views from this Wears Valley cabin rental are stunning all year long, particularly in the fall. 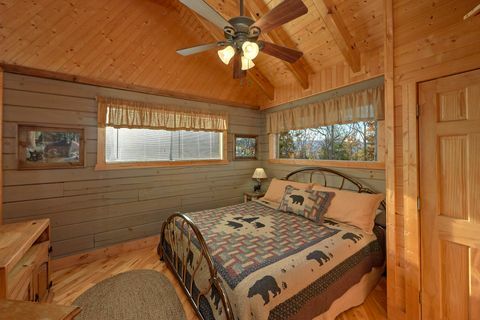 Offering 2-stories, a spacious bedroom, and sleeper sofas, up to 6 guests can enjoy a cabin with not only views, but all the cabin features of a home away from home. 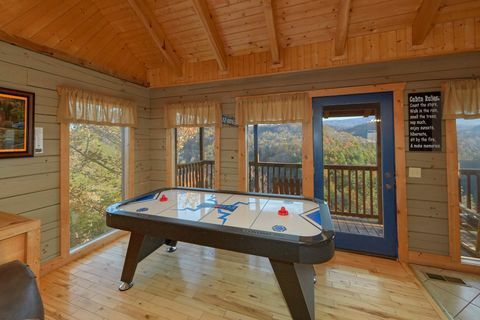 The Wears Valley cabin rental's very spacious living room offers a sleeper sofa, gas log stone fireplace, and pool table, a multi-arcade, and air hockey table for anytime fun. 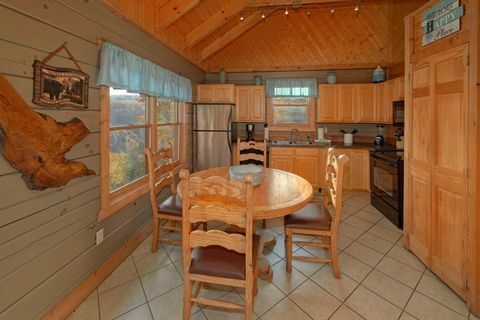 Enjoy quality family time around the dinner table while saving on restaurant costs by eating meals prepare in your cabin's fully equipped kitchen or on the charcoal grill. 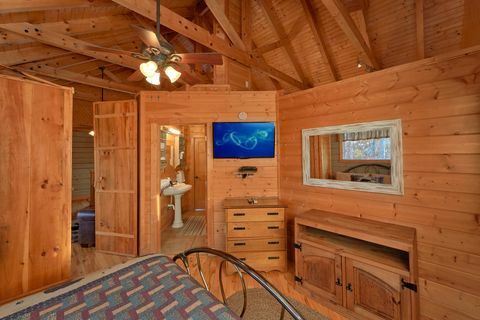 The main level's bedroom provides a king size bed, television, and attached bath with jacuzzi tub. 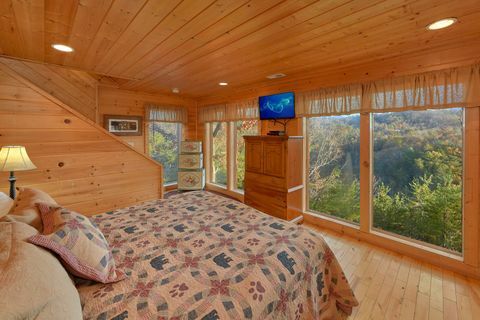 The lower level's sleeping area provides a king-size bed, television, and plenty of space for relaxing after a day in the mountains. 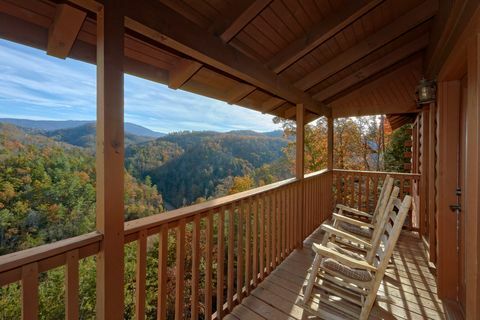 "Hilltopper" boasts two separate decks that offer several rocking chairs, where your guests can enjoy spectacular views of the neighboring mountains as sunset covers Wears Valley below. 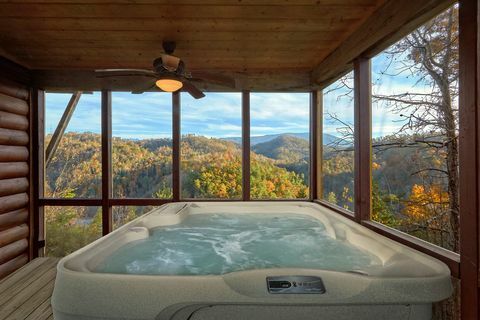 You can also enjoy relaxing in your hot tub while taking in the views. 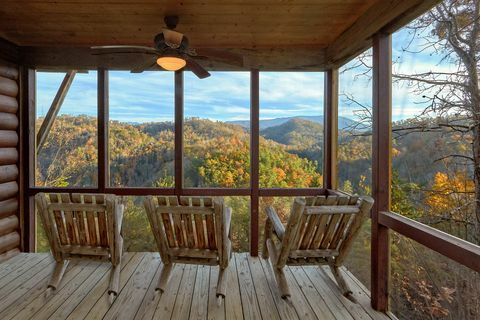 Your Smoky Mountain view cabin rental also offers a screened-in porch for enjoying the outdoors without the interference of pesky insects. 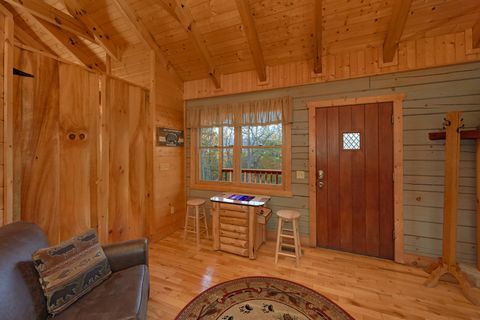 Book your Smoky Mountain view cabin rental ONLINE for your immediate Online Cabin Rental Discount and make "Hilltopper" your special Smoky Mountains getaway! 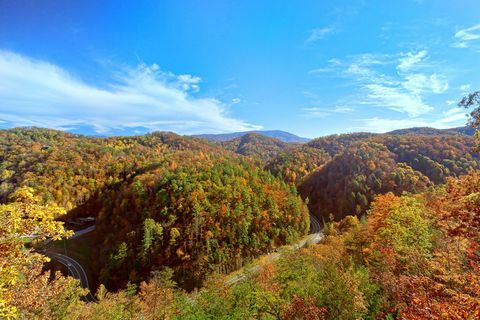 Four Wheel drive vehicles are strongly recommended in the mountains during winter months.